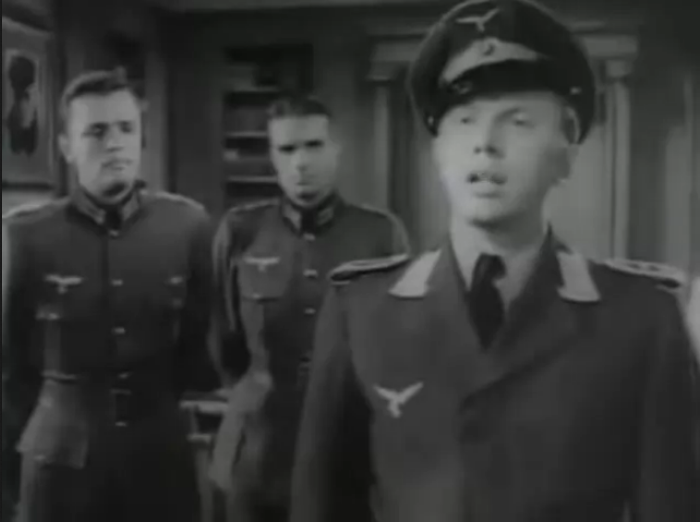 Resisting Enemy Interrogation is a 1944 United States Army docudrama training film, directed by Bernard Vorhaus and written by Harold Medford and Owen Crump. The cast includes Arthur Kennedy, Mel Tormé, Lloyd Nolan, Craig Stevens and Peter Van Eyck. Resisting Enemy Interrogation was intended to train United States Army Air Forces (USAAF) crews to resist interrogation by the Germans. Resisting Enemy Interrogation received an Academy Award nomination in 1944 for best feature-length documentary.